What kind of content marketing metrics should you be measuring, to determine whether you have the right strategy in place? 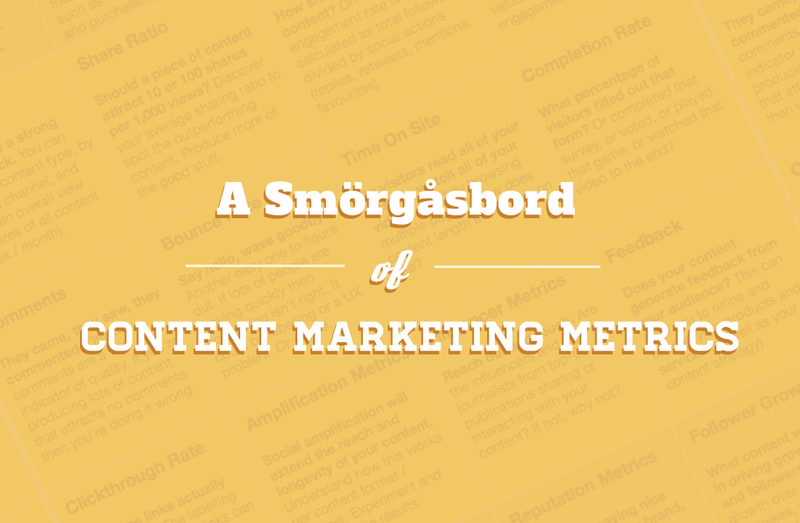 Which metrics are the best indicators of success? Get your answers in below chart from econsultancy that presents 40 delicious areas to focus on when measuring the performance of your content. Traffic Sources: Where is your traffic coming from? Which sources deliver the best quality of visitors? How is this changing over time. Social media shares: Total shares is a strong metric to track. You can segment by content type, by distribution channel, and also take an overall view (total shares of all content per week/month). Search metrics: Improving SEO is one of the best reasons to invest in content. Monitor changes in search position, new inbound links, and non-brand search referrals, among other things. Email subscribers: Hook them in. Email remains a key driver of sales for many businesses, so content that generated lots of newsletter subscribers is to be cherished.